This page covers the author of The Big Sleep. For other authors named Raymond Chandler, see the disambiguation page. Meet and dine with Nino Ricci, author of Sleep at grano on Tuesday, September 29th, 2015. Cocktails at 6:00 pm, dinner at 6:30 pm. Wednesday, July 23 at 6PM Join us on BookPeople's third floor for the MysteryPeople Double Feature Film Series! All screenings are FREE & open to the public! Tonight we're watching The Long Goodbye Robert Altman gives a very '70s take on the quintessential private eye, Phillip Marlowe. Like Chandler's novels, the film gives us a vivid look at Los Angeles in it's time. Raymond Chandler, The Big Sleep. Ian Rankin, A Question of Blood. Raymond Chandler's book The Black-Eyed Blonde was available from LibraryThing Early Reviewers. "Raymond Chandler" is composed of at least 2 distinct authors, divided by their works. You can edit the division. 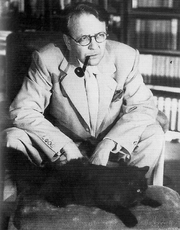 Raymond Chandler is composed of 8 names. You can examine and separate out names.